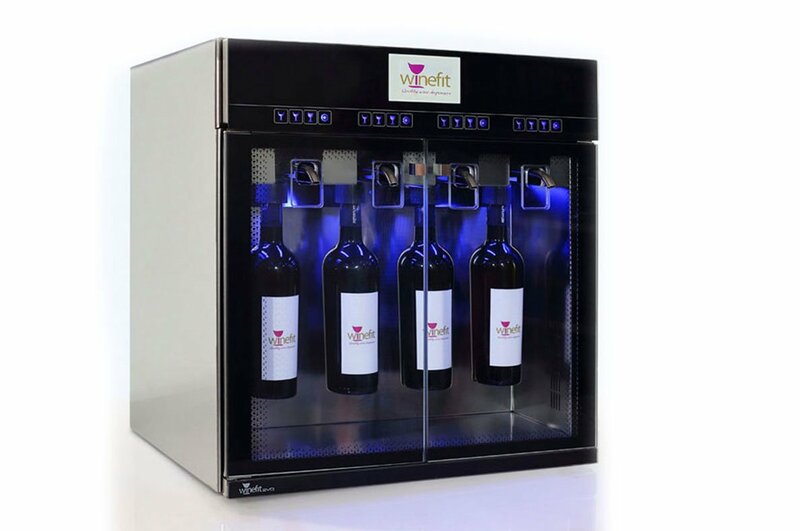 WINEFIT EVO – The new system for a professional dispensing by the glass of Winefit. EVO is the newest range of products by Winefit suitable for a pro public that perfectly combines all the advantages of the previous ranges with a wide range of innovative and high-tech solutions. If you need any more information, a quotation or to book a free demo, please get in touch. concerning your way of serving by the glass, it eliminates completely your losses and it allows you to manage every aspect of your EVO machine. The special cap system patented by Winefit, thanks to the SMART FLEXTM technology, grants an unlimited extensive concept of your wine by the glass concept and it avoids any kind of maintenance connected to the everyday use. The evolution from previous ranges grants a plug&play installation and an immediate use of the device, this avoiding any kind of installation for the gas tank and after-sale problem on any gas circuit leakage, with also a big save of space. An attractive made in Italy design plus an unique elegance and silentness make the new EVO a device suitable to furnish any professional or household ambient also because its capability of being totally built-in.